Anyhow, I just want to share with you the joyful news and let’s move on to today’s post. I would like to review another polish from The Top Ten nails polish set by OPI. Some might think rich red polish granny and boring, but I think they’re just so classic and they make your nails look super nice and polished. Here I have I’m Not Really a Waitress. An odd name indeed. It’s a gorgeous polish nevertheless. 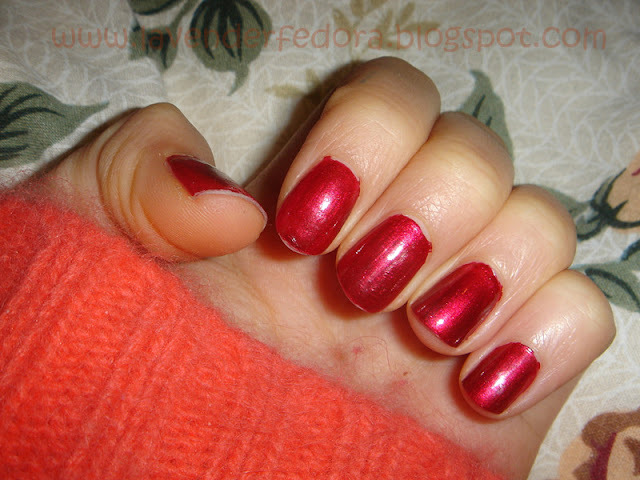 This is a deep red polish with tiny gold shimmer in it. The shimmer is really subtle and provides more dimensions to your nails. The polish applies beautifully. It’s not streaky or sheer. You only need one coat to reach opacity. I never have the patience to wait for my nails to dry and paint 5 coats, one after another. So this is perfect for me. Plus, unlike cream polish, I think shimmery polishes are really forgiving. If you mess up, you can just paint another coat on top. No biggies. 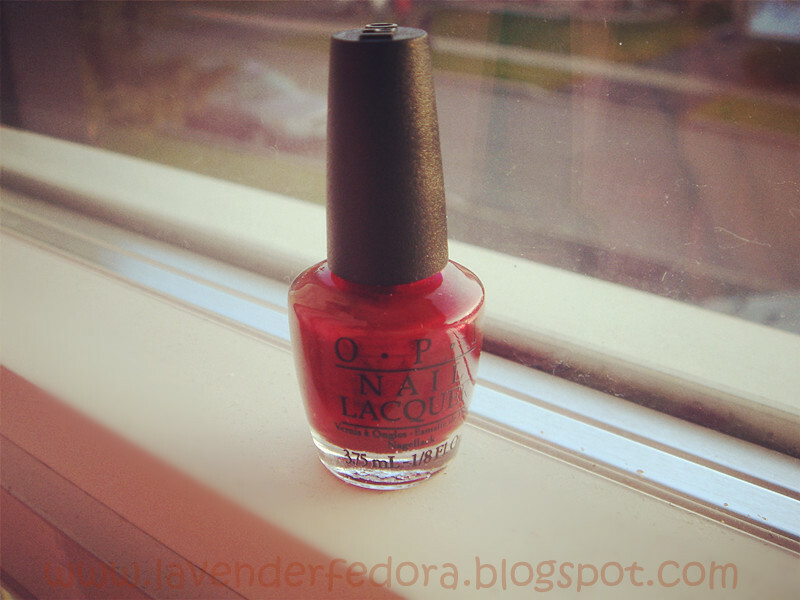 So yes, here’s my review and swatches OPI I’m Not Really a Waitress. What do you think? 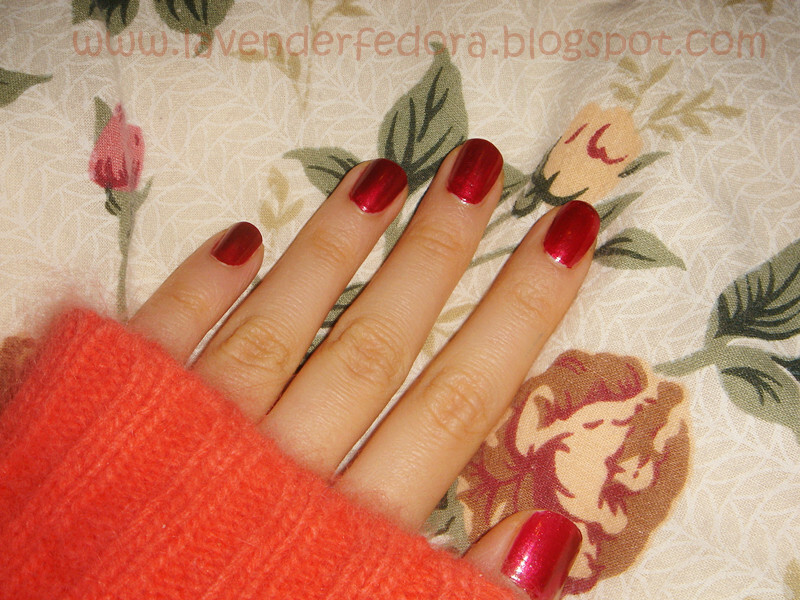 Is deep red polish your thing? Comment down below and let me know! I like brighter, warmer reds. I am not saying that I dislike this one, though, because it looks pretty, but it's not a color I'd buy for myself. Hey Yolennie, congrats on getting into your dream program!!! A brand new chapter of your life is about to start. How exciting! It's funny, I always hear about this color and I never knew it was shimmery!